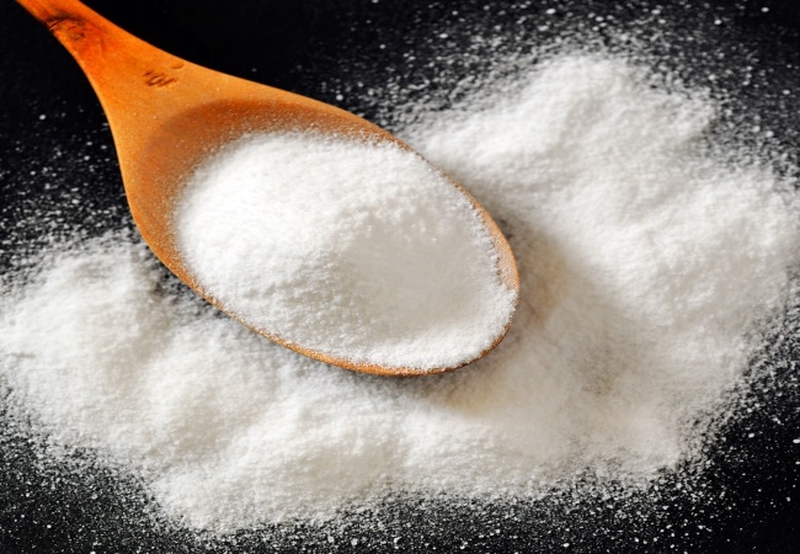 Baking soda has multiple uses in the house, including removing stains, cleaning household, and removing dandruff. It has various cosmetic uses, including lightening darkened skin areas such as armpits. The major causes of darkened underarms include perfumes, shaving, excessive weight, hair removal creams, and alcohol-based deodorants. You can use baking soda for underarm whitening among other natural remedies outlined below. You can make an exfoliating scrub using baking soda that will whiten dark armpits. The scrub will remove dead skin cells thereby opening the blocked pores. Blocked pores are among the primary causes of dark underarms. A baking soda scrub eliminates the need for antiperspirants and deodorants that lead to dark underarms. The scrub kills germs and bacteria, giving you whitened and odor-free underarms. Make a thick paste using baking soda and water. Apply the paste to your armpits and then scrub the dark areas gently. Leave the paste for a few minutes, rinse, and pat your skin to dry. Add baking soda to a small amount of water. Use the solution to wipe your underarms. Prepare a thick paste of rose water and baking soda. Apply the paste to your armpits and then use lukewarm water to wash it off. Pat your skin dry. Continue applying the remedy until your armpits are lightened. Lemon is a bleach and natural cleanser with anti-septic and anti-bacterial properties. It has acidic properties that lighten your skin and exfoliate dead skin cells. Rub a thick lemon slice on your underarms every time before you take a bath. Apply a moisturizer after showering because lemon dries out the skin. To ensure that lemon does not dry out your skin, mix lemon juice with one or two pinches of turmeric, yogurt, or honey. Apply the paste to your underarms, leave it for approximately 10 minutes, and rinse it off with water. Potatoes are good alternatives to lemon and baking soda for underarm whitening. The acidity in lemon may irritate a sensitive skin while Potatoes are mild and hence do not irritate the skin. Rub a thin potato slice on your dark underarms for 5 to 10 minutes and then rinse with lukewarm water. An alternative way is to grate the potato and then extract its juice. Use your fingertips or a cotton ball to apply the potato juice. Rinse off after 10 minutes. Use potatoes at least two times daily to achieve fast results within seven days. Cucumbers can lighten the skin. You can combine cucumber juice with lemon juice for better result. Lemon bleaches your skin while cucumber soothes it and protects you from irritation and itchiness. Mix cucumber juice, lime juice, and a pinch of turmeric. Turmeric is also an ayurvedic remedy. Cut cucumbers in roundels and then use them to rub your underarms. Apply cucumber juice directly to your underarms. Allow the orange peels to dry under a shade. Grind the peel into powder. Add the powder to a mixture of milk and rose water. Stir well to form a thick paste. Scrub your underarms gently with the paste for about 10 minutes. The scrub removes all the dead cells and lightens the skin. Rose water and orange also leave your skin with a good fragrance. Milk contains fatty acids and vitamins that help in lightening dark underarms. A combination of lactic acid and curd can also lighten dark armpits. The ingredients include two tablespoons of milk, one tablespoon of curd, and a tablespoon of flour. Mix the three ingredients into a paste. Apply the paste to your underarms. Olive oil is another alternative to baking soda for underarms. It contains antioxidants and other ingredients that are beneficial to your skin. You need 3 tablespoons of virgin oil olive and 1 cup of brown sugar. Mix olive with the brown sugar. Apply the mixture to your underarms. Leave it on for approximately 5 minutes. Use water to rinse it off. Apply the remedy two times in a week. Use it before taking a bath to avoid staining your clothes with the oil. Coconut oil has many benefits to the skin. Its vitamin E component helps in lightening dark skin areas. Rub your underarms with a little amount of coconut oil before taking a shower. Use lukewarm water and a mild soap to wash it off. Some people use coconut oil as a natural deodorant while others cannot stand its smell. If you do not like the smell, use pure vitamin E instead. The ingredients required to prepare this mask include a tablespoon of yogurt, a generous pinch of turmeric, two tablespoons of chickpea flour or gram flour, and a tablespoon of lemon juice. Mix the four ingredients thoroughly to form a smooth paste. Apply the paste to your armpits. You can use the mask instead of baking soda for underarm lightening. It bleaches, moisturizes, and cleanses your skin. Apply the remedy daily for the first two weeks.